After a long stretch of hard work on validating workflows, CareConnect, UCLA's innovative electronic health record system, is moving into its next phase of implementation. 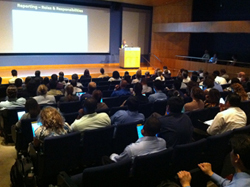 The CareConnect team hosted a Phase 3 Transition Meeting and Celebration July 26 to mark the milestone -- validation is winding down, and over the next few months, workflows, interfaces, and training materials will be tailored for UCLA. "We reviewed Epic's Model System in validation sessions over the past few months from a cross-departmental and functional perspective," said Sean Raquedan-Tizon, project manager for CareConnect's patient and business services team. "The results of the validation sessions will help us identify how the system will be best integrated so our staff will be able to use it effectively when it is installed." The fourth of seven rounds of validation sessions ended July 28. Validation has accomplished much since it started in May -- there were 83 sessions in the first round, and only 20 in the fourth. 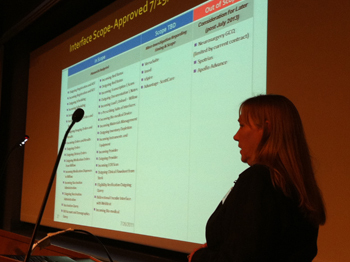 Hundreds of workflow items have so far been evaluated by faculty and staff, and marked as red or green on stoplight evaluation forms. Teams will continue examining the workflows that were marked red during the validation sessions, and decide if the model system workflows should be modified to work with our applications or if operational changes should be made to work with the processes provided in the model system. Raquedan-Tizon said the build phase will last into next year. All decisions, issues, or risks identified in the first four rounds of validation sessions will be addressed either in the upcoming rounds or immediately by assigned workgroups and advisory groups. Feedback from faculty and staff involved in the validation sessions has been very positive, he said. "By Validation 4 we have a good understanding of how the model system will work for us. In this new phase, we build pieces of the system to make sure that it works, test what we have built, and then build more before testing again - it's part of an ongoing process that will continue until we feel the system meets the needs of our health system," he said. CareConnect is being implemented at the UCLA Health System over the next two years. 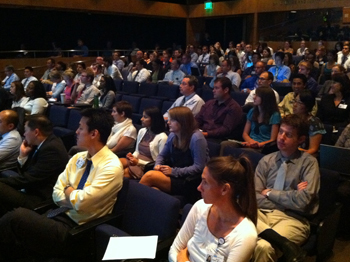 Go-live dates begin in July 2012 and continue through August 2013. Development of a detailed training strategy and plan is also underway. "The big validation sessions are done and now we need to store our energy for the next phase," CareConnect Executive Director Sarah Kramer said at the meeting. "We can see how much we've accomplished so far in a crunch, and I'm confident we're going to do the things we need to do in order to get this done." Validation 5 will be held August 16-18. Click here to see the schedule for Validation 5. Additional photos from the Phase 3 Transition Meeting and Celebration are below. 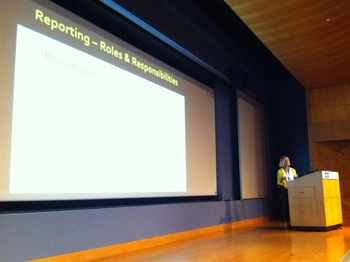 presents details of reporting roles and responsibilities. meeting and celebration hosted by the CareConnect team. 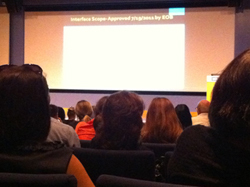 report lead, presents details of the interface scope.